We generalize the notions of Laplace transformations and Laplace invariants for systems of hyperbolic equations and study conditions for their existence. 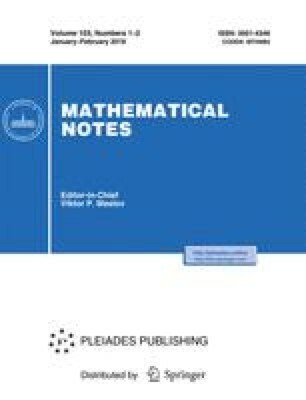 We prove that a hyperbolic system admits the Laplace transformation if and only if there exists a matrix of rank k mapping any vector whose components are functions of one of the independent variables into a solution of this system, where k is the defect of the corresponding Laplace invariant. We show that a chain of Laplace invariants exists only if the hyperbolic system has a entire collection of integrals and the dual system has a entire collection of solutions depending on arbitrary functions. An example is given showing that these conditions are not sufficient for the existence of a Laplace transformation.